Ticket Saturday or Sunday: € 29,50. This includes 5 tokens and 1 glass. 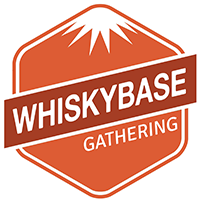 Whiskybase weekend ticket: € 49,50 which will include 10 tokens (5 per day) and 2 glasses (1 per day). Tickets for the tastings will be available after the line-up for the tastings has been announced. The Friday night whisky dinner will cost € 130,- with only 30 seats available. The line-up for this evening will not be revealed in advance. The first year the theme was a closed distillery tasting. Last year we had some rare bottles of Cadenhead. This year: expect the unexpected. Entrance to the BYOB afterwards is guaranteed with a ticket to the dinner. Entrance to the Bring Your Own Bottle event on Friday is free. A very limited amount of people are allowed though. A RSVP will be send out before the event. If you do not signup in advance you will not have access to this event. The option to signup will be opened on the 1st of October.